"Luther Dickinson is most well known as the head of the North Mississippi All-Stars and the lead guitarist for the Black Crowes. He has become known as one of the best guitar players around, whose slide guitar style has been likened to the great Mississippi Fred McDowell. As a young person in Northern Mississippi, Luther was schooled his father, Jim Dickinson, and by the legendary Otha Turner and R.L. Boyce as to the finer aspects of blues guitar playing. 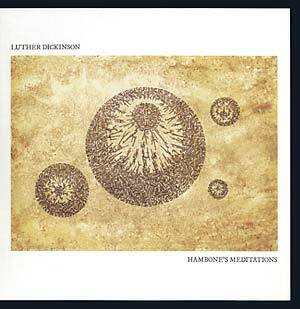 Hambone's Meditations is his debut solo outing. The record is a soft, fragile and beautiful offering that provides a stage for Dickinson's soulful, masterful melodic blues stylings."